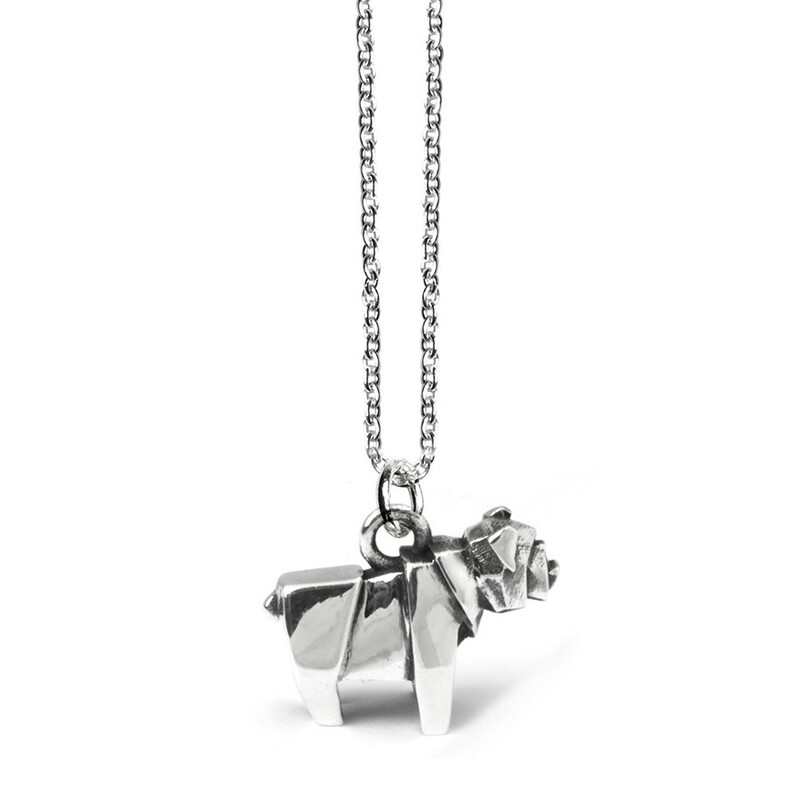 An artistic representation of an English Bulldog is featured in this necklace from Dog Fever. Handcrafted in Italy by master silversmiths, the playful piece of jewelry will capture your heart and the attention of others. This Dog Fever necklace is definitely a conversation-starter!